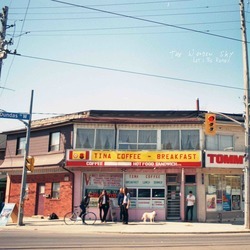 Toronto-based alternative rockers The Wooden Sky will release a brand-new album on 28 August 2015. Let’s Be Ready is a compilation of songs that mirror everything the band has become on stage and beyond. Armed with swaggering guitars, rolling drums and melodies that sweep their way toward open-armed choruses, The Wooden Sky’s newest record is at once familiar, while fans will mark a definite evolution in their sound. The band have never sounded quite as bold — or nearly as raw — as they do on Let’s Be Ready. Let’s Be Ready was partially recorded in frontman Gavin Gardiner’s home studio. Looking to preserve the spirit of their shows, the band captured most of the songs in a series of live takes. They focused on sounding real, not perfect. Rough edges were highlighted, not sanded down, and the do-it-yourself approach wound up giving the Wooden Sky a better sense of ownership over their work. 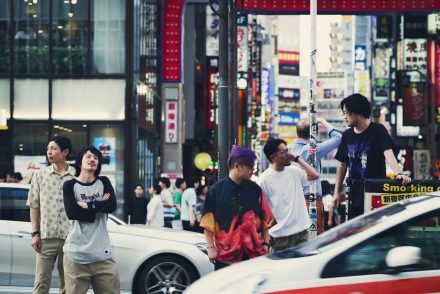 Let’s Be Ready wasn’t just another album recorded in a top-dollar studio. It was their homemade, hard-won baby. “It’s either sink or swim when you play live,” says Gardiner. “You quickly learn which parts work and which parts don’t. You learn how to convey your ideas in a way that the audience responds to. When we recorded Let’s Be Ready, we really embraced the rawness of that live experience. It was fun to make something that was a bit more ragged,” says Gardiner. The album also marked a turning point for Gardiner, who — after nearly a decade’s worth of touring, writing and recording, — needed something new to remind him that this crazy career was a worthwhile endeavor. He needed to renew his vows. The solution? Make a rock & roll album that mixes the indie spirit of a bar band with the poise and punch of an arena act.